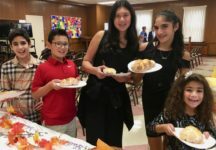 The Garden City Jewish Center is a thriving Reform congregation in which Jews of all denominations, dual-faith families, singles, and students are welcome. 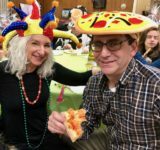 Members from all over Long Island celebrate Regular Shabbat services on Friday evenings. We have a \\”Sundays-Only\\” Religious School for Pre-K through Bar/Bat Mitzvah students. Active Sisterhood. Adult Education. We have modest membership dues and no building fund. Call for Membership and Religious School registration information. The GCJC has member families from Garden City and many surrounding towns, including New Hyde Park, Rockville Centre, Mineola, Franklin Square, West Hempstead, Malverne, Lynbrook, Floral Park, Baldwin, Great Neck, Westbury, Garden City Park, Elmont, East Hills, East Meadow, Hempstead, Albertson, Valley Stream, Merrick, Manhasset, Williston Park, Bayside, and more. For information, e-mail info@gardencityjewishcenter.org, or call 516 248-9180. 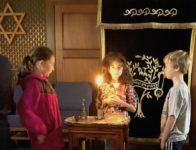 The families of the Garden City Jewish Center come from many surrounding towns and villages, and the majority of them are from mixed or dual-faith backgrounds. People of all faiths are very comfortable with Rabbi Goodman’s ability to reach every child and guide them to a higher level of understanding about Judaism and it’s teachings. Individualized instruction techniques are used (three of the teachers have MS degrees in Special Education) to teach students with Learning Disabilities. 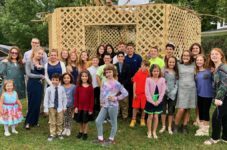 By Confirmation age (9th grade and 10th grade), most students opt to continue studying with Rabbi Goodman, and are taught Comparative Religions and Ethics. The Religious School calendar follows the Garden City Public School calendar year, ending in mid-May. 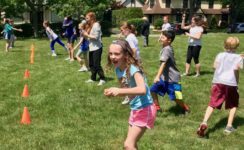 The Sundays-only schedule of 9:00 AM-12:00 PM, offers a way for busy families to meet their children’s many sports, academics, and social obligations, while gaining all the necessary skills and information to meet the goal of a Bar or Bat Mitzvah, AND having an enriching experience with other children of Jewish or similar background. 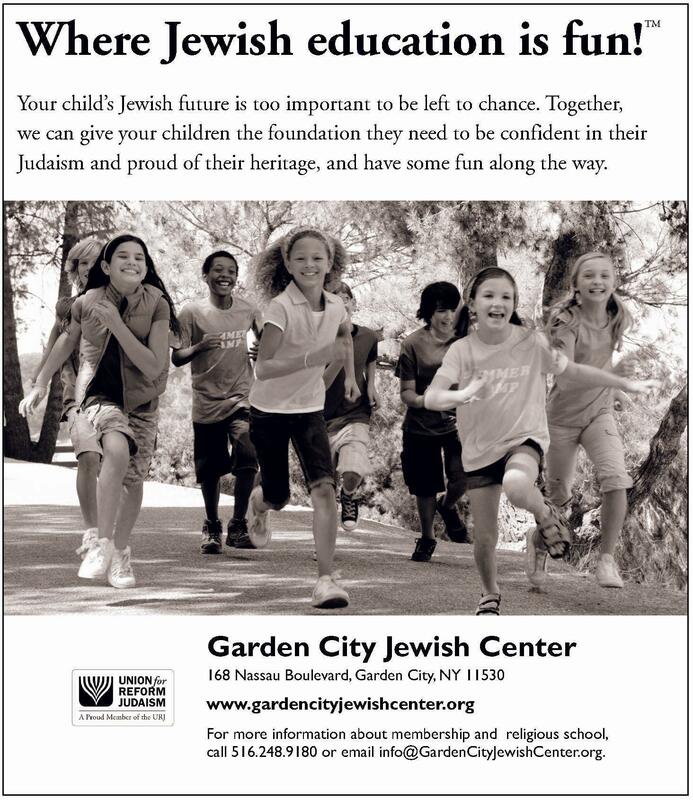 For more information, call 516-248-9180, or email info@gardencityjewishcenter.org. Please leave your home number and email address and someone will get back to you ASAP.